Carnival Cruise Line has been hard at work making sure Carnival Triumph’s transformation into Carnival Sunrise gets a head start. Many cabins and hallways have already been completed. 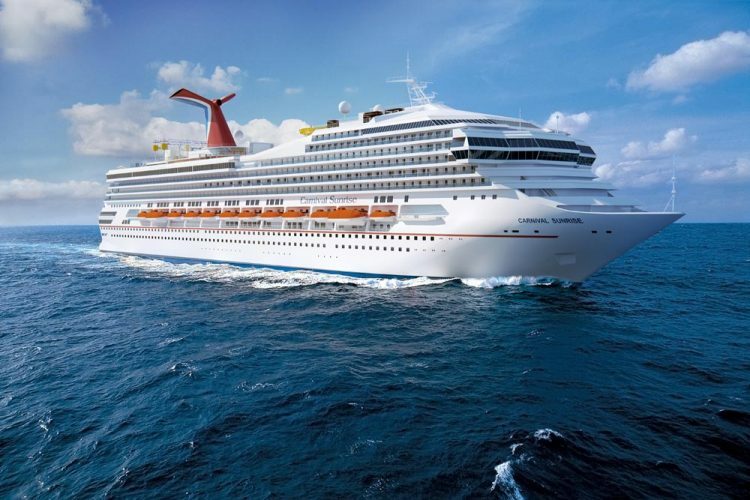 Carnival Triumph is scheduled to begin a huge dry dock in Cadiz, Spain on March 1. This will be one of Carnival’s largest-ever renovation where the ship will be transformed into Carnival Sunrise. The cruise line is trying to get ahead of time by already starting work onboard more than a month earlier. We first posted about work being carried out in a previous post. Many parts of the cabin decks were completely closed to guests as they were being renovated and upgraded to Carnival Sunrise specs. We’ve received some exclusive photos of the totally transformed hallways on Carnival Triumph which have been completed. Decks 7 and 8 are complete with newly refurbished cabins and hallways. The only cabins which have not yet been worked on are the disability ones on those decks. At the moment, deck 2 port side is completely closed off for a full renovation. There are workers onboard and supplies being stored in the Cigar Bar known as the Oxford Lounge on deck 4. Carnival must have closed bookings for many cabins a while back and it’s not known if guests can experience these newly renovated cabins before the dry dock in March. The entire ship will be refreshed with new features, decor, fixtures and more. It will be a huge undertaking which is costing 200 million dollars. During the process, a new Guy’s BBQ venue will be added and many Carnival favorites seen on newer ships in the fleet. You can see the full list and further details right here. The dry dock will last for two months so expect further coverage as Carnival Sunrise becomes a reality. On April 29 the newly updated Carnival cruise ship will begin cruises out of Norfolk, Virginia. The ship will offer a series of 5-day to 7-day itineraries. Carnival Triumph is currently 101,500 gross tons with a guest capacity of over 2,700.